iPad Media Camp | hands-on workshops for iPad wielding educators! iPad Media Camp is a three day hands-on workshop designed to inspire and equip educators to facilitate student media projects using iPads. 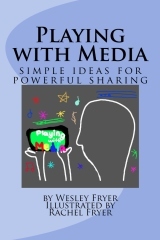 iPad Media Camps are led by Dr. Wesley Fryer (@wfryer) and Shelly Fryer (@sfryer). Participants should BYOI (bring your own iPad) to camp and install required apps in advance. Participating teachers are students in a fully iPad integrated classroom for the 3 days of camp, and collaborate with others to create different media projects each day. Day 1 focuses on creating narrated art, visual notes and narrated slideshows. Day 2 is all about creating and safely sharing “quick edit” and green screen videos. Day 3 focuses on interactive writing and creating multimedia eBooks. 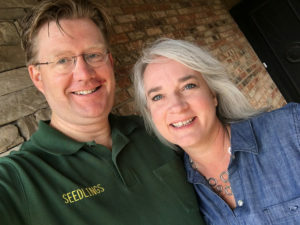 In addition to iPad Media Camp, in summer 2018 Wes and Shelly started offering “Make Media Camp” workshops for teachers. These are cross-platform workshops focusing on ways to use technology projects for enhanced assessment of student learning and skills. Visit MakeMediaCamp.com for more information and registration details! Summer 2017 workshops included iPad Skill and Project badges via BadgeList, building on the iPad Activity Matrix from 2016. For more background and information, check out this Google Doc. These workshops are geared specifically to K-12 classroom teachers. College/university faculty can also benefit from the workshop’s focus on iPad-based multimedia products students can create to demonstrate what they know and can do. 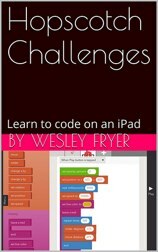 Dr. Wesley Fryer is the author of the 2013 ebooks, “Mapping Media to the Curriculum” and “Hopscotch Challenges: Learn to Code on an iPad!” and the 2011 ebook “Playing with Media: simple ideas for powerful sharing.” Some 2014 camps were also co-led by Gail Lovely and Cyndi Danner-Kuhn. 2014 was be the third summer of iPad Media Camps! Dr. Fryer made the impossible happen for me. I was able to create movies and books! I’m an old dog and he made it fun and easy to learn new tricks. Great workshop and a great presenter. Go directly to Media Camp. Do not pass GO, do not collect $200! It was so worth my time. Even old dogs can learn new tricks! Thank you for all your hard work. Participants will learn activities and assessment strategies aligned to the Common Core State Standards (CCSS) Initiative, Oklahoma C3 Priority Academic Student Skills (formerly “PASS Standards”) and the National Educational Technology Standards for Teachers and Students. Learn more about Wesley Fryer by reading his bio, checking out his digital footprint, reading his blog (“Moving at the Speed of Creativity“) and following him on Twitter (@wfryer), Facebook and/or Google Plus. 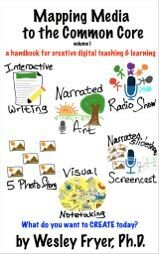 An audio podcast of “Lessons Learned” from the June 2012 iPad Media Camp is also available. Please follow @iPadMediaCamp on Twitter to stay up-to-date. 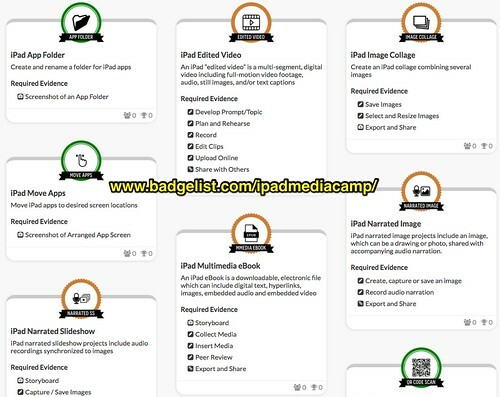 * iPad Media Camp is an independent workshop and has not been authorized, sponsored, or otherwise approved by Apple Inc. iPad® is a trademark of Apple Inc. See “Guidelines for Using Apple Trademarks and Copyrights” for more information. Direct all questions about iPad Media Camp to Wesley Fryer. ** This video trailer was created using the “Explain Everything” iPad app, as well as the free “On Air” Teleprompter app. All included images are licensed under a Creative Commons, Attribution-Only license and linked on Wesley Fryer’s Flickr channel.